Stephen has been working in the health industry since 1998, he has worked and managed in some of the top facilities all over the world. He is one of the directors and trainers here at the ISI, based in our Leeson Street facility. Stephen has a large corporate clientele and focuses on the health and wellness of all his clients. 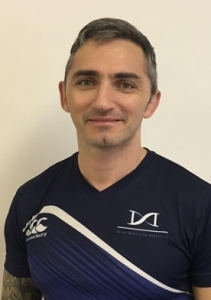 Stephen is currently completing his Master’s Degree in Exercise and Nutrition Science and is also multi skills based with further training and education in numerous soft tissue therapies which include Sports injury, Massage, Dry Needling, Fascial Stretch Therapy and is one of the in house ISI Phlebotomists. He is also a devoted husband and father to four boys, so he knows what it takes to get results with a busy household and work commitments. His Mantra: “Be the Best version of you“. Kevin has also been appointed to Longford’s Inter County Strength & Conditioning Team and as Assistant Coach to the Irish Basketball Under 20’s who will be competing in the European Championships in Greece later in the year.